This 2008 digitally remastered coupling of the fraternal groups third and fourth albums together on a single CD features the hit singles "Yo Yo," and "Down By the Lazy River." 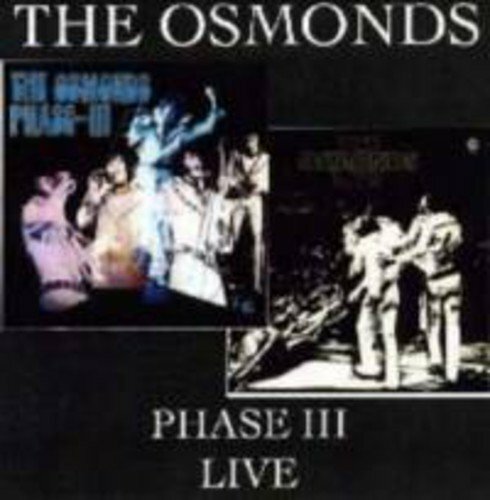 The Osmonds LIVE reached No. 13 in both America and in the U.K. This release also includes in-depth liner notes and pictures of many European single sleeves. If you have any questions about this product by Osmonds, contact us by completing and submitting the form below. If you are looking for a specif part number, please include it with your message.